The quality of life in the former paradise known as the state of California continues to decline precipitously. Overcrowding, strained resources, homelessness, and accompanying social welfare hazards seriously hamper the Golden State’s major urban population centers. 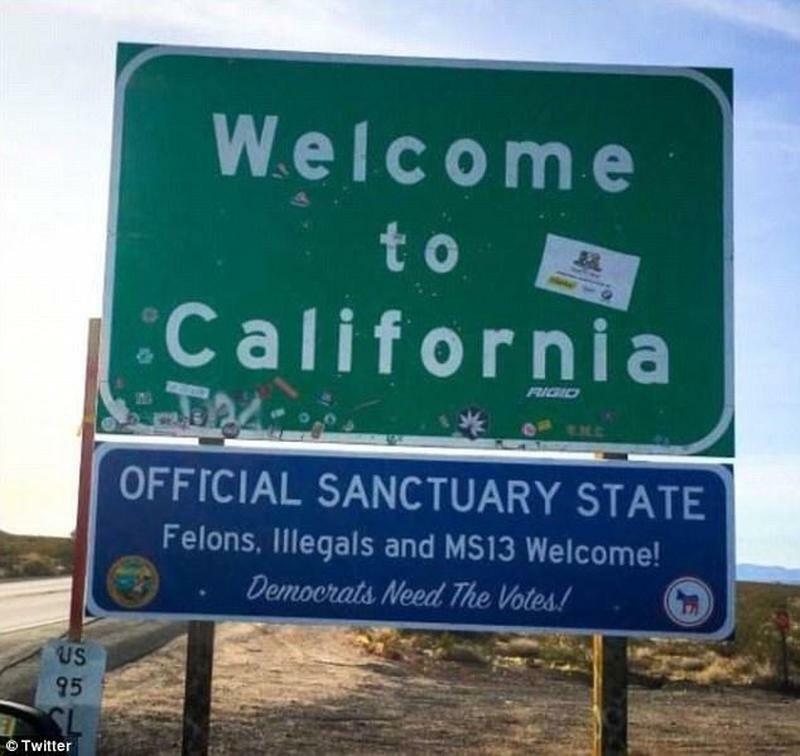 Instead of acknowledging that some form of course correction to developments over the past 30-odd years is necessary, however, California’s Democrat politicians are steadfastly beating the drum for and attempting to accommodate massive legal and illegal immigration into their congested domains. “The California ranch-house lifestyle — founded on sunshine and ample backyard space for a pool — has become increasingly unaffordable for middle-class families in urban areas where most jobs exist. Living space has tightened and become impossibly pricey for too many,” the Los Angeles Times reports in what reads very much like an elegy for a lost land. “It was wonderful when our population was only 12 million in the 1950s and 22 million in the 1970s. But now we’re at 40 million and headed to 50 million by 2050,” The Times reports. Urban sprawl has been reported to be a contributing factor to the rise of killer wildfires in California. It also has a deleterious effect on the state’s educational system. Victor Skinner of EAGnews.org, the website of the Education Action Group Foundation, details how Los Angeles teachers inexplicably advocate for illegal aliens even as they threaten to go on strike over the state’s strained educational resources. Skinner cites a report from The Education Trust – West that states some 250,000 illegal alien children between the ages of 3 and 17 are enrolled in California public schools, with the highest percentage in Los Angeles County. The trust states 750,000 K-12 students in California are the children of illegal aliens. Yet immigration continues unabated. The Orange County Register reported in December 2017 that 85,339 foreigners had moved into the four-county region of Southern California area “in the past year.” The paper notes that the region has four of the five most heavily populated counties in all of California. The website NewGeography.com in 2016 broke down U.S. Census data on the soaring population growth evident in California’s urban centers. The state was home to 12 of the 106 U.S. metropolitan areas with a population over 500,000 as of 2015, New Geography reported. A 2019 survey by Edelman Intelligence shows how unhappy Californians are with the new reality of their day-to-day lives. A majority of state residents surveyed, 53%, want to move away due to the high cost of living. A whopping 76% of residents of the heavily populated Bay Area who were surveyed say they are seeking to leave. Additionally, 62% of those queried say homelessness is a serious problem in the state, and the same percentage feel California’s best days are over. The unspoken myth of unchecked Third World immigration is that it allows impoverished peoples from broken nations the opportunity to claim their share of the American dream. In California, that dream is dying, with prosperity, health, and upward mobility no longer part and parcel of the individual human experience. It has long been clear that turning Los Angeles into Mexico City is harming the well being of the native-born Americans residing on our West Coast. 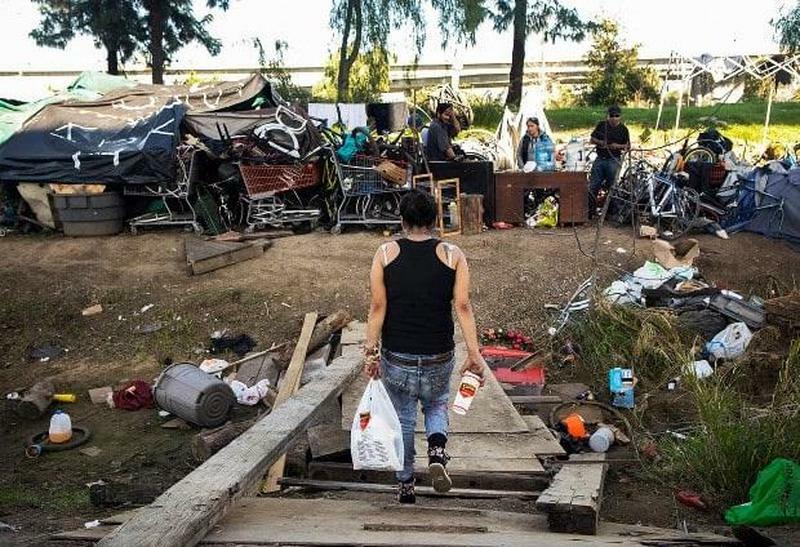 Becoming Increasingly evident as well is that the state does nothing beneficial for the foreigners flocking into California’s choked, strained, and stressed urban areas.